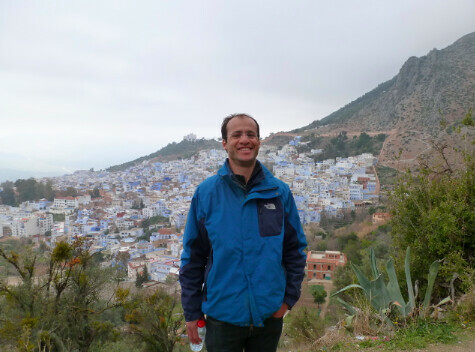 We have been in Chefchaouen for two days now, an ancient Berber village nestled in the Rif mountains in the north of Morocco. 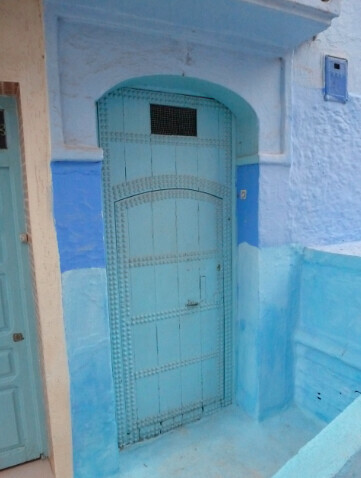 It's very famous for its color - all the buildings are painted various shades of periwinkle, violet and duck egg blue. It's so different than anywhere else we've been...it's more mellow and there are more travelers from Europe here. 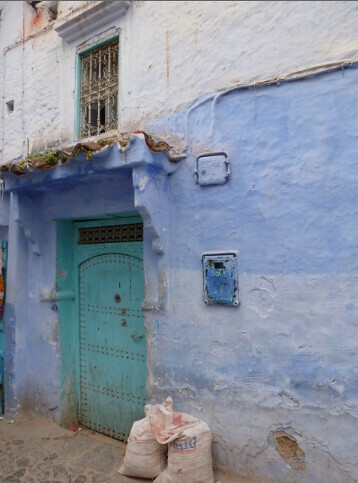 It's a major stop on the backpacking circuit too, because it's the capital for kif (keef), also known as hashish. 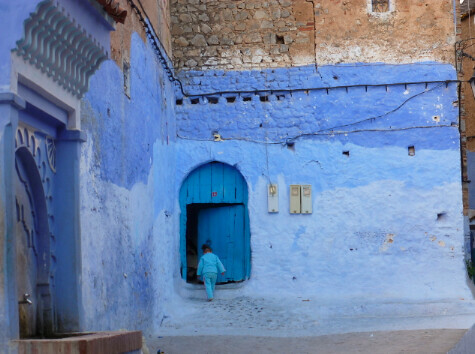 Chefchaouen (Chaouen to locals) has a fascinating history. It harbored jews and muslims who were kicked out of Spain during one of the intifadas. Until the 1920s, it was closed to Christians under pain of death. 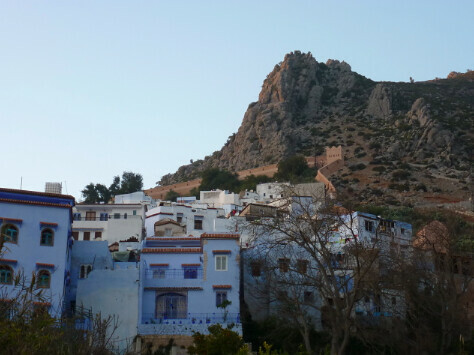 Sounds hard to enforce, but since it was a walled city in the middle of the mountains, it was easy to spot anyone coming. 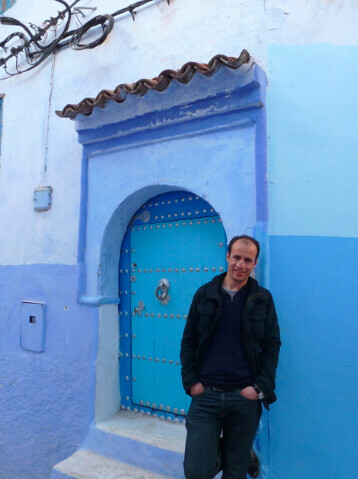 Idriss tells me that he feels he's not even in Morocco here. 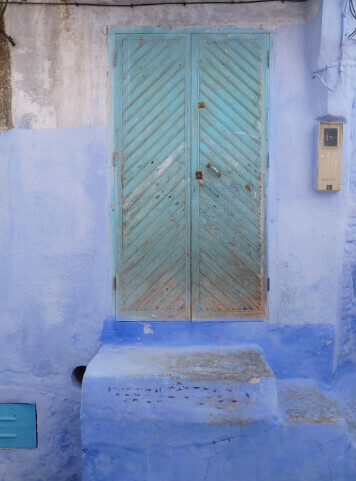 People here speak a slightly different dialect of Moroccan and they have a different accent. 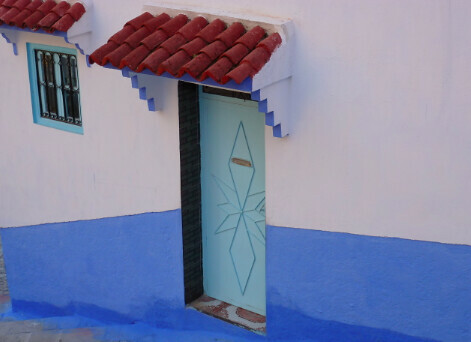 This part of Morocco was never colonized by the French, so Spanish and Moorish design are huge influences in the city. 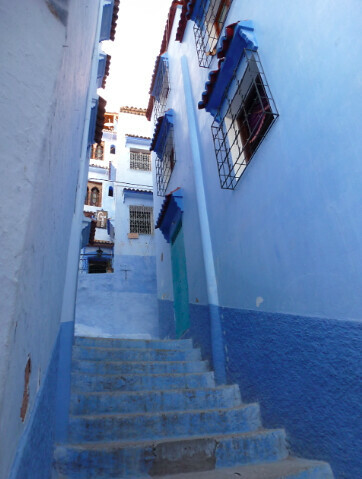 We've meandered the medina streets and hiked in the Rif, which loom over the town. 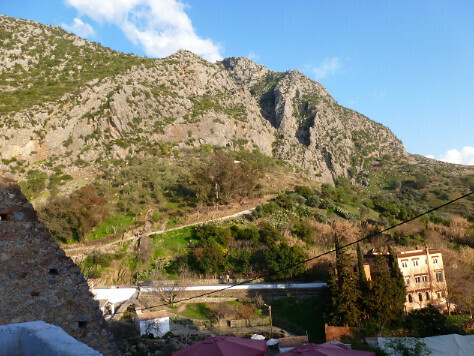 I think the pictures can speak for themselves as to how lovely the village is.